Dr. Carnell graduated from Macalester College (St. Paul, Minnesota) with degrees in Spanish and Biology. Prior to entering medical school at UCLA, she worked as an educator, teaching Spanish to high school students, and as a researcher for one of the first clinical trials of buprenorphine in opiate addiction. Dr. Carnell completed residency and emergency ultrasound fellowship at Highland Hospital in Oakland, California. 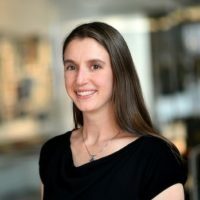 She is currently the Ultrasound Director for the Emergency department at Baylor College of Medicine in Houston and works clinically at Ben Taub Hospital. In her time as a faculty member at Baylor, Dr. Carnell developed the ultrasound program for the emergency medicine residency, the emergency ultrasound fellowship, and introduced ultrasound to the medical school curriculum.